Welcome to hell! Welcome to Shoel! Shoel is Hebrew and it means hell - a very fitting title. The Swedish kings of black / death metal are back to hell with their 3rd full-length album. Opening with I Am Vengeance the quintet relentlessly comes over the listener. Hatefull vocals, deep gowls, mean screams combined with fast guitar riffing and bashing drums. The pounding bass makes it a perfect wall of black / death metal sound. Changing paces, twisted guitar lines and some melodic parts make the first song a good entry to Shoel. Fast twin guitar riffing and a drummer go berzerk hits you brutaly! Even if Black God Aftermath is the most melodic track it knocks you off. In the middle part they reduce their speed to mid-tempo and add so some athmosphere to it. The guitar duo Marcus Norman / Andreas Nilsson is doing an incredible job! A hellish job! Another neckbreaker is Wrath Of The Fallen. And you start realizing that this album comes over you like a tornado - with no mercy. Thrashing the whole place. The variety and the intensity is unique. Diabolic vocals, some keyboards to create soundscapes and even some piano parts! Nothing can stop this hurricane. The slowest track is Abysmal Descent which includes some piano interlude. But still the track is heavy, brutal and merciless... The interlude just gives you a few seconds to recover before the inferno is coming back. I could go on... One track after another, but you better listen to it, coz words can hardly describe the hellish tracks. Just killers. An excellant piece of black / death metal. A masterpiece which should satisfy every fan of black and death metal! 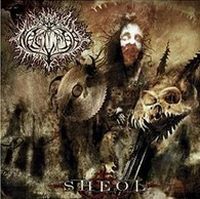 With Shoel the five-piece entered the hellish throne of black and death metal. And it ain't look like they will leave soon... A deadly strike... Welcome to hell!